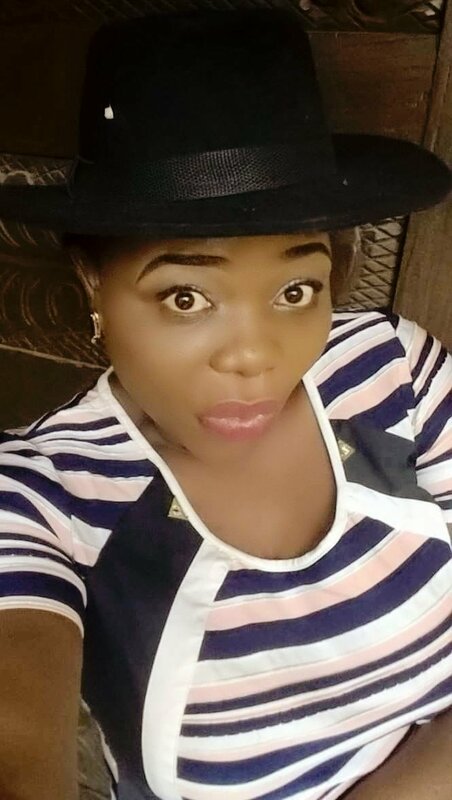 #WriterSpotlight – Losing her manuscript in the University may have put her off writing for a while but it is safe to say that Amaka Chika Mbonu is back! We love it when we read stories like this. You may be wondering what kind of stories we are referring to. Wait till you read today’s interview. Let’s just say that our guest left the writing scene because of a setback but she is back in all her splendour and with a new book. 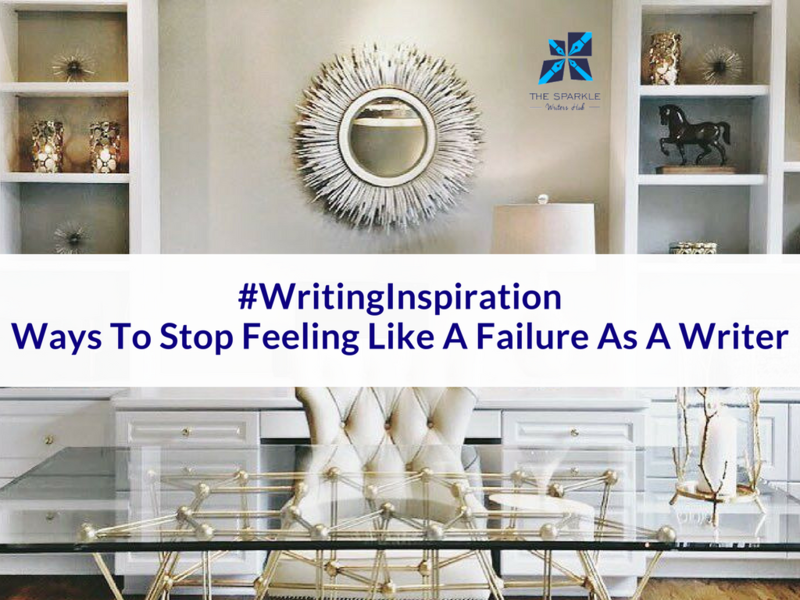 If you have left the writing scene because of a negative comment, the loss of your manuscript or another form of disappointment, get ready to be inspired to come back. Enjoy. Hello, Amaka. Could you please introduce yourself in a few words? Amaka Chika-Mbonu is a lover of God, a wife, mother, author, poet counsellor, and motivational speaker. She is also the Managing Editor of her online magazine TemptTations, a magazine for the women you were, the woman you are and the woman you aspire to be. Would you say that you were born to be a writer? Yes, I would definitely say that. I have been writing since I was a child. I was a voracious reader, still am, and for as far back as I can remember, I would write short once upon a time stories of my own that my Mum would keep for me. Wish I knew where those were now. I started my first novel when I was in the University, years ago. I had actually gone quite far, unfortunately, that manuscript got lost, and it wasn’t in this day of computers, where you can save files and documents. It was handwritten, so that was it. It actually put me off writing for quite a while. What ignited your passion for writing and when did you decide to pursue writing fully? You recently released your book ‘How to get your wife to swing from the chandelier’. Why did you decide to write this? I decided to write my book, ‘How To Get Your Wife To Swing From The Chandelier In A Red Negligée’ because it’s obvious that many marriages today are in trouble. The rates of divorce, separation, or just merely staying together, not happy together, seem to be at an all time high. Marriage has become more of a fearsome tale than a fairytale. A lot of this (not necessarily all), originates from a place of what I like to call, ‘mixed communication’ because men and women communicate so very differently. My book gives men deep insight into the mind of a woman, and women, a voice to speak their heart to their man, and seeks to lend its voice, to the many voices looking to bridge that communication gap. The book has a very interesting title. Were you ever scared about how it would be received? Can tell us some of the challenges you faced when writing the book and how you overcame them? Challenges? Mostly it was just trying to push myself to finish it. Then I guess I could say there was a bit of a challenge with the proofreading and editing process. It’s my first published book, but I’ve found that I tend to write in the same style as I speak, very informal, conversational, slightly tongue-in-cheek. This, I was told might be confusing to someone who doesn’t know me personally, but it’s deliberate because I want my readers to feel like they do know me, that they are with me, and that I am speaking directly to them. I’m pretty sure that by the time I publish the next book, and the next, my readers will get it. Aside from being an author, you are also a poet. Can you please tell us what you love most about being a poet? I love the raw emotion that can be expressed so powerfully in a poem. It’s like a small potent fusion of words and imagery that just hits you, and if the poet does it right the reader can, in that instant, feel where the poet was in their mind, emotions, and psyche, at the point they were writing. My poems come from a very deep place and are a constant ongoing project that I keep adding to as my life unfolds. They are so personal, I’m not sure if that anthology will ever see the light of day, but we’ll see. There are many writers who would love to become authors but they are scared. What words of encouragement do you have for such writers? Just keep writing, make sure that you’re are writing about something you are really passionate and knowledgeable about, you yourself will then find that you want the message to be out there, and so will seek ways to publish. As with everything in life writing will require some form of discipline, and as with everything in life, you do it by doing. You just have to begin, and commit to finishing, one word at a time. Our publishing industry is not where it needs to be yet. In your opinion, what can writers do to overcome the prevailing challenges of getting published? I am a new author, not sure I am qualified to comment on our publishing industry. To be honest, I didn’t really have a lot of difficulty publishing. I self-published, albeit through a publishing firm that was very supportive of me. What is more difficult; editing or writing and why? Each process has its own difficulties, but for me, I”d probably say the editing. Why? Because of the back and forth with the manuscript, and the ‘struggle’ to ‘protect’ the, should I say, style of one’s work vis a vis the ‘suggestions’ of the person editing and proof reading. In your years as a writer, what has been your greatest achievement? Hmm “…years as a writer?” “…greatest achievement?” I guess I have been a writer for many years, but a published author for, not that long. So, again, am I qualified to comment? I’ll try. I’m not sure I’ll categorically qualify this as my greatest achievement, but I will class it as an achievement for me, and that is, publishing my book, ‘How To Get Your Wife To Swing From The Chandelier In A Red Negligée’. What words of advice do you have for writers and those who have a passion for writing? Write, write, and continue to write. “It does not matter if you are a struggling writer or if your book is in its ninth printing. The only thing that is going to make you feel like a decent person, halfway decent human, is if you stop comparing yourself to other people and write what you need to write.” – Courtney Maum, Author of the novel, I am having so much fun without you. The comparison trap is one that writers are familiar with. There is this nagging unwholesome temptation to always want to compare yourself with the next writer just so you can tell if you measure up or if you are good enough. God help you if you fall into that temptation. Well, the good news is this! No one is the standard for measuring how great a writer you are. Keep telling yourself how great you are until people’s eyes are opened to see your greatness. Successful writers have been through that comparison route before but they refused to stay there. Comparing yourself with some other writer is not going to make you a better writer. You would lose yourself in the comparison game. It is going to make you engage in an unhealthy competition with a person who will, most likely, be totally clueless about the race you are hell bent on winning. Like the quote above says, “Stop comparing yourself to other people and write what you need to write.” Celebrate your uniqueness as a writer. No other person on the surface of this earth can string words together like you would. Quit expending your energy on fruitless competitions, pick up your pen and write till you have no more words left in you. Ever heard of the word Jekyll and Hyde? The fascinating thing is that it exists! The word is pronounced /ʤekl ∂n haid/. Jekyll and Hyde is a noun. It is used to refer to a person who is sometimes very pleasant (Jekyll) and sometimes very unpleasant (Hyde) or who leads two very separate lives. This unusual word has an origin. It found its way into the dictionary from the story by Robert Louis Stevenson, The Strange Case of Dr Jekyll and Mr Hyde, in which Dr Jekyll takes a drug which separates the good and bad sides of his personality into two characters. All the negative characters go to Mr Hyde. Jack is a difficult person to live with because of his Jekyll and Hyde attitude. I couldn’t explain her sudden Jekyll and Hide personality, either. Hey Sparkle Writers, we are excited to show you some of the amazing poems we have read so far on our timeline for our #PickOfTheWeek. We hope you love them as much as we do. The first poem we have to feature is @thatpoetclem’s I think I love my muse. We think the poem is beautiful but his reason for writing it is what got us. How many times have we preached to you about writing even when you don’t feel like it or at the worst write about your writer’s block? This is exactly what he did. Oguntola Dimeji (@dime1ddon’s) poem titled ‘Our love is water‘ is the next on our list. We love the way he shows us the different sides of love in a precise and beautiful way. Look at it yourself. The Ideal African Childhood by Victory (@the_vic.tory) also caught our attention. He took us back to our childhood and we didn’t want to come back. Do you miss your childhood? Last and definitely not the least is China Tori (@miz_uvi’s) poem that got us channeling our parenting instincts. Hey Sparkle Writers, we hope you are ready to improve your grammar knowledge. Today, we are going to look at homonyms. Homonyms are words that sound alike and this is the exact reason they cause grammar troubles whenever writers use them incorrectly. We are going to look at three pairs of words that sound alike but really mean different things. You will learn how to distinguish these homonyms so you can stop losing at their sound-alike games. Weather: The noun “weather” refers to the atmosphere. Example: She worried that the weather would not clear up in time for the birthday celebration. Whether: This is a conjunction referring to a choice between alternatives. Example: I don’t know whether to travel now or next week. Example: I consider tomato sauce the perfect complement to fried chicken. Compliment: This means an expression of praise, congratulation, encouragement or respect. Example: I received many compliments on my thesis. Elicit: This means to draw out or obtain information from someone or something. Example: Elsa was unable to elicit information from Olaf, the snowman. Illicit: The adjective “illicit” means unlawful or illegal. Example: Child trafficking is an illicit venture. See you next week. Remember to keep your grammar in check! Have you ever wondered how the famous writers you admire made it to the limelight? Even more so, have you ever thought about what they had to grapple with before their names and works ever saw the light of the day? The thing is, these writers might be domiciled in different corners of the world but these three qualities bring them together—Discipline, Persistence and Patience. Discipline is the art of writing one word at a time until you are done with the article, book or novel you had in mind when you began. This is easier written than done but successful writers write and get the job done even when they do not feel like it. In this thing called writing, feelings do not matter. What matters most is doing what must be done. Mystery writer Janet Evanovich pulled in $33 million in the year 2012 but wrote for ten years before getting published. Only a disciplined writer would keep on writing for ten years with a name and story unheard by the entire world. Keep on writing even when you do not feel like it. Even when you feel like you are writing crap, keep writing. This is the art of digging the ground until you find gold. When it comes to writing, discouragement always lurks around the corner, waiting for you to throw in the towel and surrender to negativity. Successful writers do not stop digging for gold even if there are slim chances of finding it. Do not stop digging; do not stop writing. No matter how many books you sell, no matter how many people visit your blog and no matter how many rejections you get, do yourself a favour and keep on digging. You will surely find gold, depending on what you see gold as. Judy Blume, who has sold 80 million books, got nothing but rejections for two straight years. Judy found gold after two years of digging. Never say never! This is the art of waiting for the seeds you have planted to bloom and grow. A beautiful garden takes time to bloom. It has to be cultivated, nurtured and fertilized to flourish. It is the same with writing. Whenever you write, you are planting seeds and nurturing them. Successful writers understand this principle. Give your writing time to bloom and flourish. The only way to do that is to keep on writing. Do not be in a hurry to “hammer.” Great writers are patient enough to hone their talents and skills to perfection or near perfection. Always remember, patience has the ability to bring out the best in any writer. 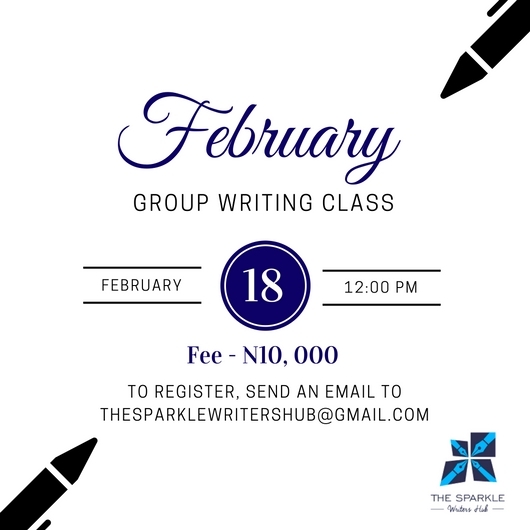 Sparkle Writers, we are fulfilling our promise to bring you wholesome information when it comes to writing. The Writing events section is one that keeps you updated on relevant programs or seminars for your writing growth. Here’s an event you should plan to attend. If you have always wanted to learn how to write scripts for television this is your opportunity. A group of amazing people have put this together and we think you should try it if this is something you’ve always wanted to learn. The cost of the event is N10, 000 for bookings call 08108044715. 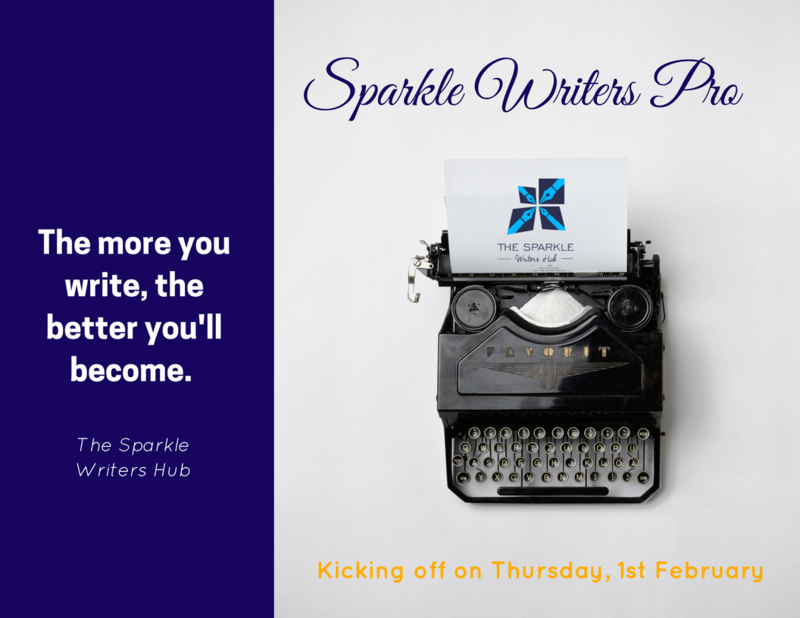 If you want your event for writers to be featured on our blog, please send an email to thesparklewriters@gmail.com. Any blogger would know that hashtags are important else, why would you use them in your social media posts? However, some of us do not know the right hashtags to use for individual posts and this in no small way affects the visibility of your blog posts. Just because you blogged about phones doesn’t mean the only hashtag you’d use will be #phones, You won’t get as much engagement as you should. What other things do your readers love? What other things do they look for? What are the hashtags trending in your industry presently? You must be able to identify all these and use them to your advantage. Ensure you try to mix and match high performing hashtags with medium performing hashtags. You do not want to take chances. Finally, when using hashtags please arrange them neatly. You don’t want them scattered and distorting the aesthetics of your page. We trust you understand this and will apply properly. Today’s #WriterSpotlight is absolutely off the hook and you have to read it. Our guest is a book evangelist. As the founder of GrillandRead, her goal is to get non-readers and lazy readers to love, buy and read books. Hello Abigail. Can you please tell us about yourself in a few words? My name is Abigail Anaba. I write, I read, I teach. Would you say you chose writing or writing chose you? I wish I understood this question. How does an occupation or profession choose someone? I have a mental picture of walking down the street trying to make sense of the chaos around me when from behind a wooden pole jumps profession with a written or verbal proposition. I would very much like to see that happen…to anyone. At what point did you make the decision to become a writer? Two decades ago after binging on movies to a state of near delirium, I told myself I could enjoy writing as a job, and I believe I deliberately started to take actions that would bring the dream to fruition. You are well known as a screen writer. Can you tell us how you honed your skills as a screen writer? I wrote, read and then wrote some more. I read everything available on the internet to be a good screen writer, I read books on screen writing and I attended workshops on screen writing. Then I wrote some more and made very generous use of my delete button. In your opinion, what makes a good story or script? It must have a heart. And by this I mean it must connect emotionally with the reader and if you are fortunate to have good actors interpret the script, then it must connect emotionally with the viewer. I don’t think anyone wants to be a passive consumer of a story. They want to laugh, they want to cry, they want an emotional roller coaster. I certainly do. So each time I read a story I ask, ‘where is the heart?’ To be candid, it is not easy to give a story heart but when you do? Slam dunk! You published your first book Sector IV in 2015. What made you decide to write this book? I felt I had a story to tell that had not been told. 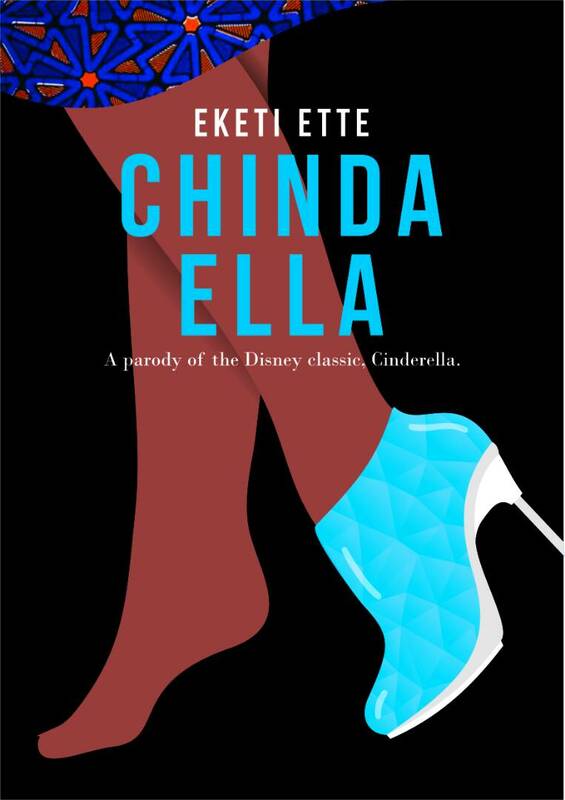 Publishing a book in Nigeria seems to be a Herculean task. Can you please tell us some of the challenges you faced and how you were able to overcome them? Finding people who could key into my vision with the limited resources at my disposal. I am quite fussy about finishing and sometimes I had to just go on the internet and read how stuff is done and then teach someone to do it…plus supervise to ensure it was done correctly. But by far the biggest challenge was the lack of a promotion and distribution structure in the country. I would rather not blow my own trumpet. It took a great deal of talking to for me to talk about things that I do. So that was a major obstacle. As I have come to realize, however, you gotta toot your own horn. What do you think can be done to move our publishing industry forward? I know this word has been used a lot, but we definitely need it in the writing and reading business. We need disruptors. People who will come with innovative ideas based on study of the Nigerian market and habits. For instance, over 40 million Nigerians are literate, but I am unsure if any book published for the Nigerian audience had sold 100,000 copies in a year. I have heard ridiculous numbers like 5-10 thousand in some quarters. I think that’s unacceptable. It is said that Nigerians do not read. Do you believe this? People say Nigerians don’t read for pleasure and they say this is why books are not sold that much, I disagree. I believe Nigerians will read if you give them a good reason to. We need to begin to tell stories like Nollywood does, and enter the market like Cowbell did. Story type and the pricing dynamics are two reasons Nigerians don’t read Nigerian. There certainly is a thriving second-hand books business where books are much cheaper and more easily accessible. In 2016, you started Grill n Read. What informed this decision? It was my little way of showing that how you present books will affect how people perceive books. I knew there were Nigerians who could afford to buy Nigerian books (even with the crazy prices) but who did not even know the books existed. Grill and Read was created to target non-readers and lazy readers. It is a type of evangelism using food and drink to promote books. Our message is, everyone can be a reader. I will have to mention that a lot of people are put off by the hoity toitiness of writers who have hijacked the reading space and talk about books to the exclusion of readers. The entire intellectualism associated with something that should bring pleasure. It really shouldn’t be that deep. We felt that needed to change. 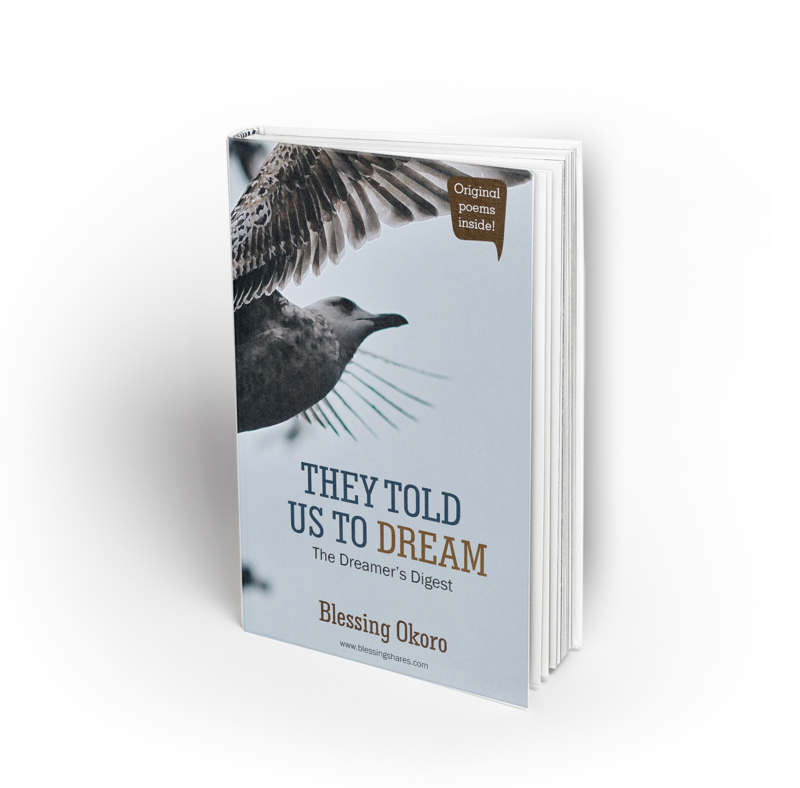 Since its launch, you have organised several book reading events across Nigeria which were well attended. How were you able to achieve this? I have the best and most supportive friends. Starting from when this was just an idea up till now. Of course one of our biggest problems has been getting financial support. But thank God for organisations like Hedge&Pembrook who have supported us from day one. I must say, the events have not even been as well attended as I would have wished but I have been told we have done well so far. Of course, we keep looking at what works, what needs to be tweaked and we adjust as we go along. We take feedback seriously and work on it. We have also had uncommon grace of God. What should we expect next from Abigail? My next books. I’m experimenting with a few things and I hope it works :). A new and improved GrillandRead for the 2018 season and in October of this year the GrillandRead Annual Readers’ Award #GaRARA2017. This is one every reader wouldn’t want to miss. There are writers who look up to you. What advice do you have for them on their journey to becoming a published author? Three things: Stay away from social media sycophants. Read until you know what works. Keep improving your use of your language of communication.